You’re not given much information when you land on the DutyKid website, expect a few big promises of making a lot money from home with very little work involved. But what is DutyKid.com exactly? A Legit opportunity to make money from home or yet another internet scam to avoid? In this DutyKid review I’m going to sign up myself and show you what I find. And just so you know, I’m not getting paid to promote this site and I’m not affiliated with them in any way. 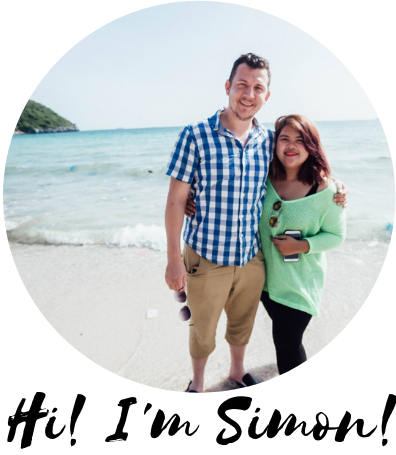 I’m Simon and today I’m reviewing DutyKid because I’m a successful online entrepreneur who has finally made it online and I want to help you do the same, whilst helping you avoid the plethora of get-rich-quick scams that are out there. OK, that being said, let’s get to it! Not only is this statement full of grammatical mistakes, it’s full of lies and deception. Don’t get me wrong, I’d love to make $10 every few seconds but you’re not going to be able to do that with this so-called work from home opportunity and I’ll show you why. To register you need to add a username, password and email address. “Use the link below to generate traffic and earn money 5-10$ for every unique visitor that clicks your link and visit it. So this sounds legit right? All you have to do is share this link they give you in forums and blog comments, chat rooms, Facebook groups and so on. What could be wrong with that? Well, there’s just one big issue… no matter how many times you spam your family and friends on Facebook, no matter how many people you convince to become a member of DutyKid, you will never get paid. What should worry you is the fact DutyKid.com has no terms and conditions, no legal disclaimers, no contact information and we don’t even know who the owner is. This means no matter how high your balance goes within your member’s area, you’ll never see this in your bank account and there’s nothing you can do about it. The owner of this website is a huge internet fraud and DutyKid.com is not the only site where he tries to convince you to hand over the private details and encourages them to share the links to try to reach as many people as possible. In the last few days alone I’ve exposed the DutyTimes scam, DutyScreen scam and the DutySet scam. As you can see, though the main image and amount member’s are apparantely earning is different, everything else is exactly the same. Why have so many different sites running at the same time? Because once a particular site receives too many complaints from members trying to get paid, the owner shuts it down and sticks a new website up somewhere else under a new domain. None of these sites have any advertising or way to earn revenue, so what incentive does the scammer have to make you post his links across the web? The truth: he wants as many contact details, email addresses and PayPal information as he can get his hands on. Whatever you do, do not sign up for DutyKid. It’s just the latest link posting scam to deceive you into handing over your personal information. This site may be up for another week or another month but however long this stays up, I guarantee the only person making money here is the con artist himself. Look, I get it, the idea of making $10 every few seconds and even making anywhere close to $5,000 a month from home sounds tempting. I mean, seriously who wouldn’t want that? I know I would! But if you’re sick and tired of all the make money online scams out there and you’re ready to learn how to earn enough money online to find real financial freedom then check out my Wealthy Affiliate review here. The beginner’s course is completely free and you can get started right away. I give you my word, there’s no hype, no gimmicks and if you’re ready to complete the assigned tasks at the end of each lesson, you’ll be well on your way to owning your very own legit online business. Wealthy Affiliate is where I learned to make more than $6,000 a month online and 4 years later I’m still a member.